Sadly, it has recently been claimed that Ant McPartlin, one half of the nation’s favourite double-act Ant & Dec, has checked into rehab. We have blogged about how pain can affect anyone at any time, including the rich and famous. Newspaper reports suggest that Ant has been suffering with chronic pain for years – because of problems with his right knee. Also, it is said that Ant and his wife have been upset by an inability to have children. We add our voice to the outpouring of support for Mr McPartlin, his wife and those around him. 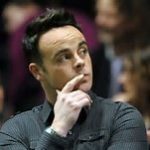 Anthony David ‘Ant’ McPartlin, OBE was born in 1975. Best known as one half of the acting and TV presenting duo Ant & Dec.
Ant’s first career break was in the children’s drama series Byker Grove which led to a pop music careeer for himself and Declan Donnolley as PJ & Duncan. Ant and Dec went on to have a very successful career as television presenters, presenting I’m a Celebrity…Get Me Out of Here! and, Ant & Dec’s Saturday Night Takeaway since 2002, Britain’s Got Talent since 2007 and Text Santa since 2011. We reported in one of our Success Stories how one of our clients suffered botched knee surgery. He went on to develop CRPS, a devastating condition which caused agonising pain and considerable disability. It may be that Ant’s knee problem was age-related and that his surgery was skilfully performed but if somebody else has been at fault, as in our client’s case, compensation can be claimed. Money may not be an issue for actors and TV stars who can afford to pay for private treatment. For ordinary folk interim payments and a final compensation award can lead to rehabilitation, care and assistance, a move to more suitable accommodation and peace of mind. It is sad to hear about Ant McPartlin. I remember when he was in Byker Grove and over the years my children have grown up watching him on TV. My favourite moment was seeing Ant & Dec in Love Actually – hilarious! Chronic pain is terrible. Some of my clients have fallen into despair, never knowing if or when their troubles will come to an end; others have struggled with side-effects from medication they have been prescribed and others have craved rehabilitation but been unable to access it. Hopefully Ant will make a full recovery and will become a vocal supporter for others who suffer daily. If you are suffering with chronic pain as a result of an accident that wasn’t your fault contact us and see how we can help.